I don’t care if 50 Cent aka Curtis Jackson is from the East Coast. I am writing about a dude who is not just about grabbing the mic and rapping in city to city and buying big cars and more. 50 is about making money and also giving back. 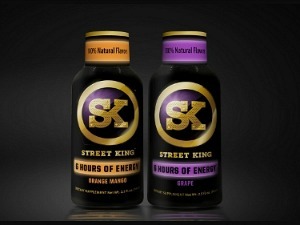 He is starting a new energy drink called “Street King” and every time someone buys the new drink, it will help a poor kid have a meal in Africa and elsewhere. This is a great move by 50. Read the article and you will learn more what he has done to give back. To many times we read about rappers like T.I. or Shyne or DMX and The Game getting in trouble. Might of face The Game is in the news for maybe calling 50 gay in a tweet recently. And that 50 may be gay like a lot of rappers but not admitting it. Just ANOTHER beef started by The Game in his years of problems with 50. When in the hell is it going to stop? Of course 50 made about 200 milion dollars when he sold his investment in Vitimin Water. And other business ventures has lined the pockets of 50. Plus he makes a lot of cheese making movies in Hollywood. Watch our new program “Music Inner City TV” via USTREAM TV EVERY FRIDAY NIGHT AT 11:05PM Seattle time (Pacific Time) Playing urban music videos and exclusive interviews and public service announcements and talking urban sports. 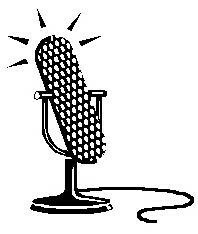 It is broadcast LIVE from the studios of “M.I.C” in Seattle, Washington. To watch the show go to “Music Inner City News Magazine” www.musicinnercity.com and click the USTREAM TV screen. Police Officer Should Be Fired Now!! What Is The Hold Up?